Here are some of the products I’ve been discovering that get a big thumbs up from the boys, as well as some useful apps, tools and links. 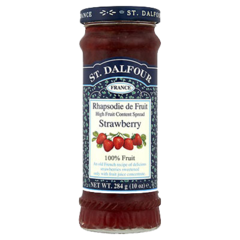 St Dalfour fruit spreads. Loads of lovely flavours of jam that are made with a high fruit content, rather than added sugar. Great on toast for breakfast or bedtime snack. Cook & Count Carbs. A beautifully designed, easy to use app that helps take the guesswork out of counting carbs. Click on the logo to find it on i-Tunes, and check out my Spicy Sausage Jambalaya recipe to find out more about how I use it.